Al Mahary Radisson Blu Hotel enjoys a central Tripoli location, overlooking the bustling Al Fatah Street. It boasts panoramic views of the Mediterranean Sea and offers an outdoor swimming pool. The contemporary rooms at Al Mahary Hotel feature numerous modern facilities, including flat-screen TVs with cable channels, tea and coffee making facilities and work desks. Each room has a private balcony, and some enjoy clear ocean views. Radisson Blue Al Mahary offers a range of restaurants that serve Italian, Morrocan and Middle Eastern cuisines. Light snacks and refreshing drinks can be enjoyed at the pool-side bar. Room service is also available. As well as a 24-hour front desk, the Al Mahary Hotel has free Wi-Fi internet throughout the hotel, and a fully equipped business center. Hotel Al Mahary is situated just a 10 minute drive from the Natural History Museum, the Spanish Fortress and Karamanli Mosque. Free parking is available on site. Located in the commercial heart of Tripoli, the 4-star Plasma Hotel offers soundproofed rooms featuring private balconies with sea or city views. The Old City is only half a mile away. The air-conditioned rooms at the Plasma have carpeted floors and a work desk. 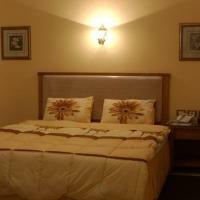 Each room is equipped with a flatscreen satellite TV and a safe. A refreshing drink can be enjoyed from the minibar. The hotel boasts an à la carte restaurant and outdoor terrace on the building’s top floor. Guests can chose from Arabic or international cuisines, while enjoying views of the Mediterranean Sea. Hotel Plasma’s airy lobby features a sitting area with large armchairs. It is a pleasant place to relax and benefit from the hotel’s free Wi-Fi access. The 24-hour reception desk runs a currency exchange and an airport shuttle service. This stylish, 5-star resort in Tripoli’s central business district overlooks the Mediterranean Sea. It has indoor and outdoor pools, a spa with massage services, a gym and 4 restaurants. Corinthia Bab Africa Hotel's rooms have air conditioning, satellite TV, a tea/coffee maker and a work desk. 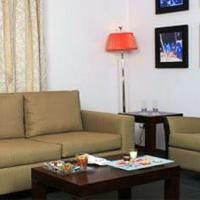 Some rooms have a spacious sitting area with couches. Every room has free wired internet. Guests can enjoy Italian cuisine at the Venezia Restaurant, or have Moroccan dishes at the Fes Restaurant. 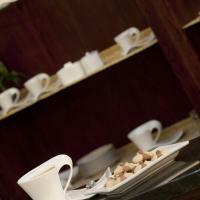 The lobby cafe offers mezzes and snacks, along with fine coffees and iced drinks. The Corinthia Bab’s spa features a Finnish sauna, a Turkish bath and a jacuzzi. The hotel’s masseuses give body massages as well as pedicures, manicures and depilation treatments. The Bab Africa Hotel offers free parking at a nearby location. 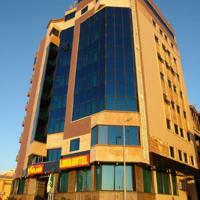 Offering 4-star accommodations in the heart of Tripoli, the Awal Hotel features free internet and 32’’ LCD TVs. The Tripoli International Fairgrounds are within a 5-minute walk. The hotel has a 24-hour front desk, and offers laundry services and shoe-shine machines. The hotel’s restaurant is open for breakfast. All air-conditioned rooms offer a work desk and a minibar. A bathrobe and slippers are provided for the comfort of guests. The Awal is less than 550 yards from the Mediterranean Coast and half a mile from Green Square. Tripoli International Airport is located 19 miles from the hotel. Shuttle service can be arranged upon request. With a glass façade, the modern high-rise Al Batra offers panoramic views and warmly decorated rooms in the heart of Tripoli. It provides free transportation to and from Tripoli International Airport. All of Al Batra’s rooms feature recessed lighting, carpeted floors and floor-to-ceiling windows. 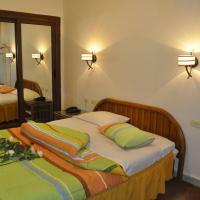 All rooms are equipped with free Wi-Fi, TV, minibar and a private bathroom. Deluxe rooms also feature Jacuzzi baths. Each morning, Al Batra’s guests can enjoy buffet breakfast in the hotel’s dining room or in the privacy of their rooms. In the evening, the hotel’s restaurant offers a range of local and international dishes. Al Batra operates a 24-hour front desk desk offering laundry and ironing services. There is also an ATM and business center on site. 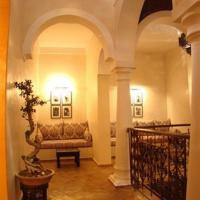 Hotel Al Batra is less than half a mile from the Old City and a 3-minute drive from Tripoli Central Train station. Free private parking is offered on site. This boutique hotel offers spacious rooms with free Wi-Fi, just a 20-minute drive from Tripoli International Airport. Guests can enjoy free use of a gym and sauna, swimming pool and squash court. 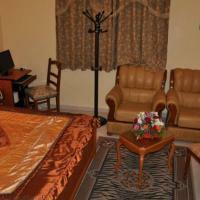 The air-conditioned rooms at Bustan Hotel include a plasma TV with satellite channels and a DVD player. Some rooms open onto a patio overlooking the garden. All have a private bathroom with a walk-in shower. Included in the rate, guests can enjoy a continental breakfast and a dinner with international dishes served daily in the restaurant. There is a fully equipped business centre and a conference room at Bustan Hotel. A complimentary shuttle service to and from the airport can be arranged upon request. 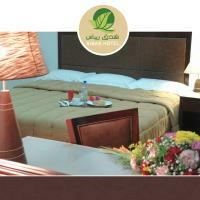 Just a 5-minute drive from Tripoli Old City, Thobacts Hotel offers modern rooms with free Wi-fi. It has a 24-hour front desk and is located in Tripoli’s commercial district. Each air-conditioned room features a seating area with a flat-screen TV. Each is fitted with a minibar and carpeted floor. Free toiletries are provided in the bathroom. A buffet-style breakfast is served daily in the restaurant. The bar serves non-alcoholic beverages. The hotel offers 24-hour room service and breakfast can be served in the room. Martyr's Square is a 5-minute drive and Tripoli International Fair is 10 minutes' walk from the hotel. Tripoli International Airport is 20 minutes by car. Shuttle services are available on request. Located within 5 minutes' driving distance to Medina, the Old City, Al Waddan Hotel features an outdoor pool with a terrace. Guests can also enjoy the 4 restaurants available in the hotel. The air-conditioned rooms are decorated in a modern style, offering a flat-screen TV and a minibar. Most rooms feature a seating area with a sofa. Guests can take a walk in the garden or visit the fitness centre. The wellness centre provides spa, massage, and sauna deals. The 24-hour front desk can arrange for laundry and ironing services. Al Waddan is located within 40 minutes’ driving distance from Tripoli International Airport. Tripoli Port is only a 5-minute walking distance from the hotel. A car rental service is also provided. Located on the bustling Al Shat Street, Al Ribas Hotel overlooks the Mediterranean Sea. It has à la carte restaurant, free Wi-Fi and free private parking is possible on site. The simply furnished rooms at Al Ribas are fitted with carpeted floors. Each offers a TV, a working desk and a wardrobe. A shower is available in the bathroom. A breakfast buffet is served in the morning, while à la carte specialties are served in the evening. There is also 24-hour room service. The hotel is just a 5-minute walk from the Corniche promenade. Tripoli International Airport is a 20-minute drive from Al Ribas. It has a 24-hour front desk and an elevator. Tripoli Apartments is located 8 minutes by car from Martyr’s Square. It offers free Wi-Fi and free private parking. The studios feature a classic décor and include a fridge. All studios are air-conditioned and come with a flat-screen satellite TV. The kitchen contains a toaster and tea/coffee maker. Some studios have a spa bath inside the bathroom. Tripoli Apartments is 15 minutes away from Mitiga International Airport and 35 minutes from Tripoli International Airport by car. Just a 5-minute drive from city centre, Libya Hotel offers air-conditioned rooms and suites overlooking the Mediterranean Sea. It has a restaurant, a coffee shop, a bar and a 24-hour room service. 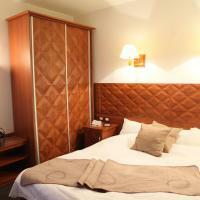 Decorated in red and beige themes, all rooms offer free wired internet. Each accommodation includes a flat-screen TV with satellite channels, a minibar and a seating area. The suites include a living room. Libya Restaurant serves breakfast buffet in the morning and à-la-carte specialties in the evening. Alcoholic beverages and hot drinks are served at Libya Bar and Coffee Shop. Old City, which reflects the rich history of Libya, is 5 minutes by car. Tripoli International Fair is a 5-minute walk. Tripoli International Airport is a 25-minute drive. An airport shuttle is available upon request. Located in the Old City in Tripoli, El-Khan Hotel is a 5-minute walk from the Arch of Maecus Aurelius, and approximately 10 minutes’ walk from the National Museum and the Green Square. Free Wi-Fi is available in public areas. 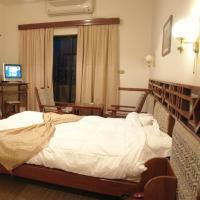 The rooms are air conditioned and feature a seating area with a flat-screen satellite TV and a dining table. The bathroom includes a shower and has a hairdryer and free toiletries. The rooms have a free wired internet connection. El-Khan Hotel features an outdoor swimming pool with sun terrace. El Tajeen Restaurant overlooks the hotel’s swimming pool and serves local dishes. There is a roof top terrace offering local snacks and drinks. Tripoli International Airport is 28 km from El-Khan. Free public parking is available at the hotel. 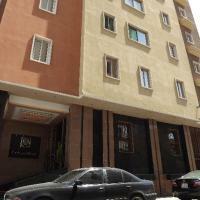 Asshajara Hotel is located in Seedy Essa Street in the heart of Tripoli, with easy access to city attractions. The hotel has a restaurant offering breakfast buffets and room service. Free Wi-Fi is available in public areas. The rooms and suites feature a simple décor. They are air conditioned and have a safety deposit box. A satellite TV and a fridge are also available. The bathroom includes a toilet and a shower. Tripoli International Airport is around 31 km from Asshajara Hotel. Free public parking is available outside the hotel. 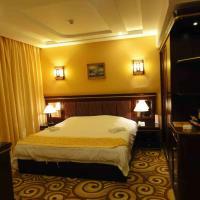 Just a 3-minute walk from the historical Old City, Al Naher Hotel offers air-conditioned rooms. Guests have access to free Wi-Fi in the entire hotel. It has a 24-hour desk, a restaurant and a bar. 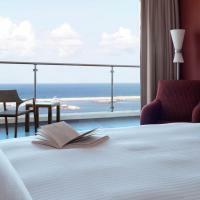 The simply furnished rooms at Al Naher have a balcony overlooking the Mediterranean Sea. Each offers a satellite TV, a minibar and a telephone. Room service is available 24 hours. Al Naher Hotel is a 4-minute drive away from Al Saraya Musuem and Martyr’s Square. Tripoli International Airport is 40 minutes by car. Free public parking is possible on site. Overlooking the Municipal Beach, Hotel Alaseema is just a 5-minute drive from Tripoli Old City. It offers air-conditioned accommodation with free Wi-Fi. Laundry can be arranged by the 24-hour front desk. The simply furnished rooms and suites are decorated with printed wall papers. Each offers a flat-screen TV and a minibar. A shower is fitted in the bathroom. Guests can enjoy Eastern and Western cuisine at Alaseema Restaurant. Nearby restaurants and coffee shops are located within a walking distance from the hotel. Tripoli Central Station is a 5-minute walk from Hotel Alaseema while Tripoli International Airport is a 30-minute drive away. A shuttle bus is available upon request. Just a 5-minute drive from Tripoli Old City, Al Safeer Hotel offers simply furnished accommodation with free Wi-Fi. It has a 24-hour front desk and a restaurant that serves breakfast buffet daily. The rooms are decorated with brown and beige themes. 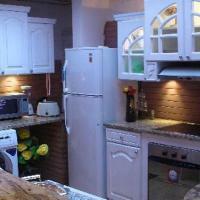 Each is fitted with tiled floors and offers a TV and a wardrobe. Free toiletries are provided in the bathroom. The Bazar Souk is a 1-minute walk from Al Safeer Hotel, while Tripoli Castle is 5 minutes by car. Gold Souk and the Corniche are within a walking distance. Free public parking is possible on site. The hotel offers a free, 1-way shuttle service from the airport to the hotel. 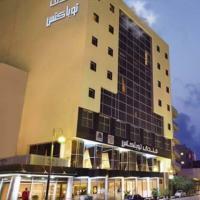 Just within a 20-metres walk from Omar Al Mukhtar Street, Al Okhowa Hotel is located in Tripoli in Libya. 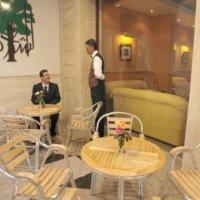 It offers free Wi-Fi in all areas, a restaurant that serves international meals and a café that offers snacks. All rooms are warmly decorated and fitted with tiled floors. Each one offers a flat-screen TV, a telephone and a fridge. The bathroom is fitted with a bath or shower. Mitiga International Airport is 25 km away from Al Okhowa Hotel. Guests can shop at the nearby area to the hotel where a number of shops are located. Free public parking is possible at a location nearby.